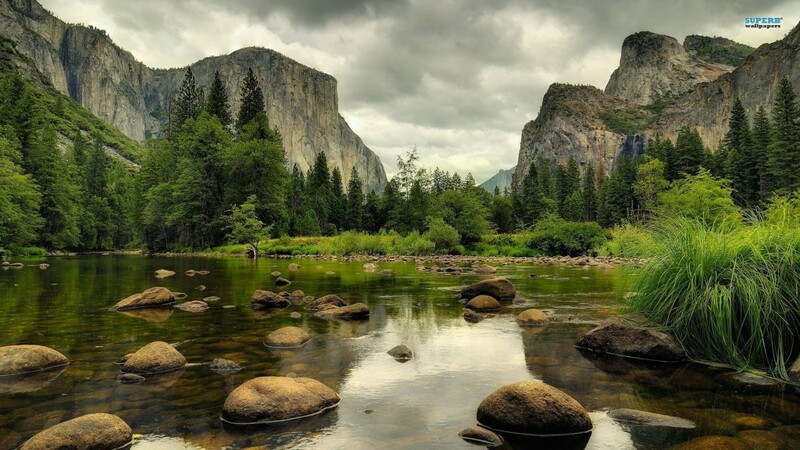 Yosemite National park is situated in the central eastern region of California (USA) and was included as one of the world heritage sites in 1984. The national park is famous for its grand and spectacular cliffs, streams, splendid glaciers, giant Sequoia groves, surging waterfall, and varicoloured biodiversity. This wonderful work of nature is spread over 1200 sq miles and has everything that any nature lover would crave for- meadows, valleys, rivers and cliffs. The national park is filled with the spectacular scenic beauties and; apart from that you have activities to indulge into, that not only connects you more with the nature but acts as a stress buster, allowing you to explore more and more. Check out for the following places that are surely not a miss while preparing for a visit here and not to forget about the wonderful adventurous activities that would make the stay of each and every one a memorable event. The valley is accessible throughout the year by car, although you would need a tire chains in the month of October to November. You can also take the bus service; Amtrak and Greyhound are the bus service provider to the Yosemite valley. Free shuttle services are also provided around the year in the eastern part of the Yosemite valley. The foremost thing after reaching here you can do is visit the valley visitor centre that helps the visitor to seek any kind of information and they also help the visitors plan their trip. 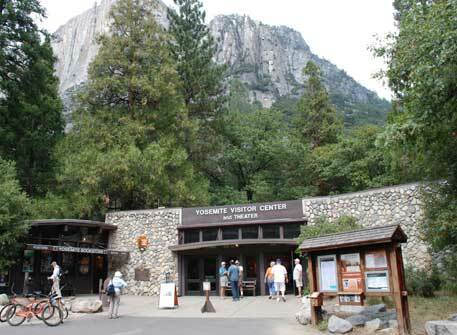 You can watch the movie Spirit of Yosemite, visit the book store, and moreover get a bit acquainted with the park’s geology, animal and plants. Spending an hour here is such a knowledge elevator and also makes you familiar with the place. If you are interested ( you must be, I am sure) to know about the natives – Miwok and Paiute, who lived here in 1850s then this is the place for you. The gallery here displays the work of art regularly throughout the year. Located at happy Isles, this is a must visit for the people who are adventure freaks. The centre has the history exhibits, & displays. It is open only from May to September. LeConte Memorial Lodge: This is operated by Sierra club and has children’s corner and number of educational programs. It is open from May to September. There is nothing soothing than to watch the gushing water. There are small and big many waterfalls in Yosemite valley and the best season to see the waterfall is in the spring time. The best of this waterfall can be witnessed in the month of May, but it also flows from November to July. If the ice cones bewilder you then winter season is when you need to come here and for the full-fledge waterfall you can visit in the month of April to June. This is one of the tallest waterfalls made up of upper Yosemite fall, middle cascades, and the lower one. The beautiful flowing water is seen from the valley, the lodge and the village. This huge waterfall has a height of 2ooo feet! Peak season is in the month of May but it is also visible from March to June. Situated just west of the Sentinel rock, it has its base on the south of the Yosemite valley. Get the amazing view of the fall from Sentinel beach picnic area, from the four mile trail-head and also near Leidig meadow. From March to June, peak season in May. You can see this from the road while driving to the Yosemite valley while turning towards the Bridalveil fall. This fall reaches its peak in May. Look for it from the glacier point. This beautiful water fall flows all year, but it gets separated in the month of summer and flows in three parts. This waterfall can also be seen at glacier point. The incredible scenic beauty of the Yosemite valley can be seen from this point. EI captain and Bridalveil falls rising from the valley are seen from here. Stop by the Sentinel bridge to view the beautiful half dome reflected by the Merced River. Crane Flat is a stunning meadow that is just 126 miles from the Yosemite valley. From here you can go for a walk towards Tuolumne and Merced groves of Giant Sequoias. The place can be reached throughout the year. The fascinating drive stretches to 39 miles between crane flat and Tuolumne meadows and gets through the wonderful forest area, lakes and granite domes. Imagine the view you get while driving through this way. The road is accessible from May to June and somewhere around the month of November. The breathtaking view of the lakes, rivers, forest will charm you and you would feel like the drive never gets over. After November, the place is reachable only for the skiers and snowshoers. The stunning glaciers points that offer you some of the breathtaking and wonderful views of the Yosemite valley, half dome and falls. 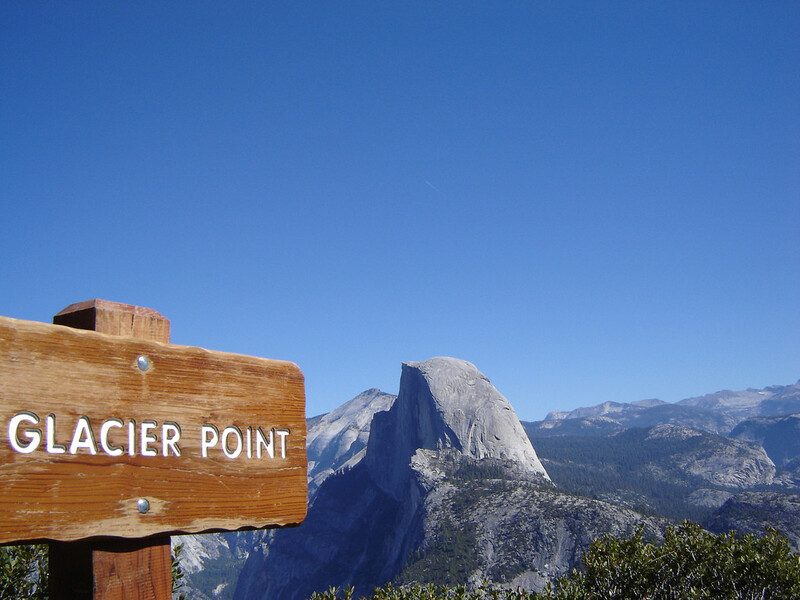 To visit there ( from July 6th to September 2015), you need to use the free shuttle service from Badger Pass to Glacier Point between 10 am to 4:30 pm. You can drive to the Glacier point if you arrived before 10;30 am or after 4;30 pm. Also the roads Glacier point road is open for the car drivers from May to October/November. The Glacier point tour also offers the bus services. The glacier point is a pleasing point where you can simply sit and enjoy the half dome change its change from morning to the sunset and also it is a lovable place for star gazing. You can also enroll for the ranger program and go for a hike from this point. **Presently there is a restoration project going on of the Mariposa Grove of Giant Sequoias and it will be open to the public only in spring 2017. So if you are eager to see the mammoth coniferous trees then you can visit the places like Tuolumne Grove(Yosemite national park), Merced Grove (Yosemite national park), North and South Calaveras Groves(Calaveras Big Trees State Park), Grant Grove (Kings Canyon National Park), Giant Forest(Sequoia National Park). Yosemite National Park never fails to impress its visitors. Whether you are a summer person or love the cold winter, the park has all the colours embedded in itself that one can see with the changing seasons. Eat, enjoy and cherish the exhilarating feeling of being here. The Yosemite valley and the surrounding areas have the biking pathway for everyone and for the casual family bike trip one doesn’t need to leave the Yosemite valley. The east end of the valley is specially designed for the biking and cycling experience and it does allow the bikers to be all alone without any motor vehicle to be disturbed. You can rent a bike from Yosemite lodge at the falls and from the curry village. Briceburg bike loop is highly suggested for the bike enthusiasts. The 15 mil pathway has no forest cover and this leads to an exciting ride. The 13 camping ground available at the Yosemite national park has both the options available- first come first served basis and reservation. The campground has around 1500 sites. You can reserve the spot to avoid any last moment disappointment especially from April to September. 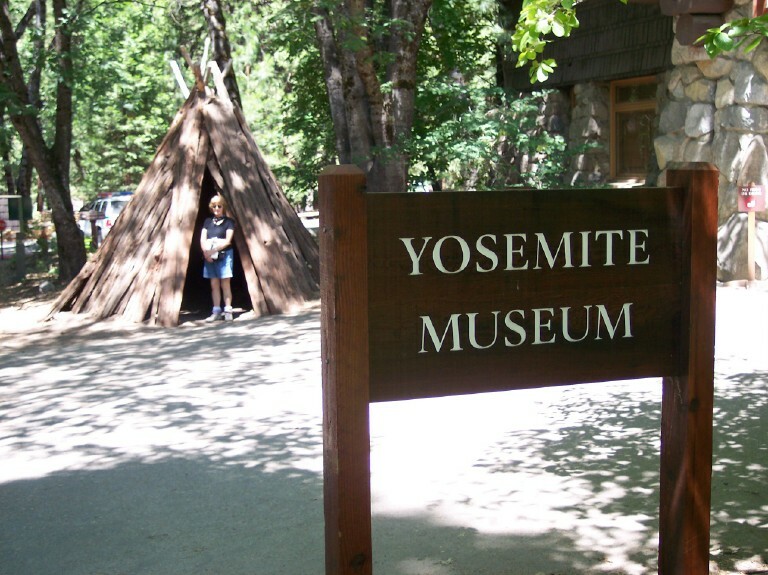 You can also choose to camp around the Merced river and outside the Yosemite National Park. The most exquisite thing to do in the Yosemite national park is to go hiking. This is such a clever option to explore the serene atmosphere of the park. You can go hiking on the trails such as Bridalveil fall, four mile trail, from Glacier point to the Yosemite valley, half dome, mirror lake, Nevada fall, Sentinel bridge to the Yosemite fall, vernal fall, etc. This is just an exhaustive information that can help you find the trail when you go there for a trip. Don’t want to take the trip on the foot yet want to enjoy the parts of the Yosemite park? No problem. The mules and horses here are strong and energetic who can carry you on their back to take you places. Two hours, four hours or all day long, whatever you are comfortable with can be chosen. The rides are available in the summer season. Visitors love to get a horse ride to the Mariposa grove of giant Sequoias. The horseback ride can be availed from Yosemite valley, Wawona, and near the Tuolumne meadows. The postcard perfect pictures! 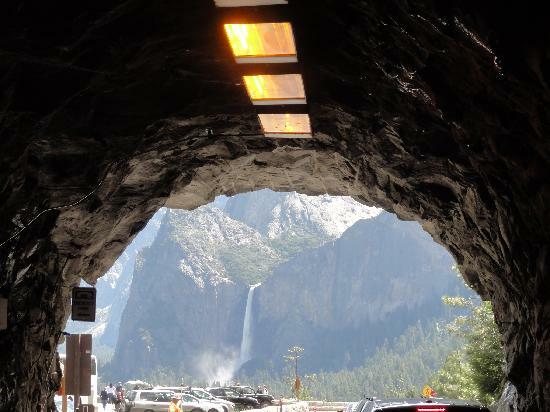 The tunnel view is famous for the beautiful shots and gates of valley is just amazing with the greenery all over in the spring season that one would never like to give a miss. Native aspens, cottonwoods, and willows brighten up and give a strong reason to be captured in the camera. The winters are equally appreciated for the snow covered valley that is just camera friendly. Wherever you go, every spot is too beautiful to be shot. 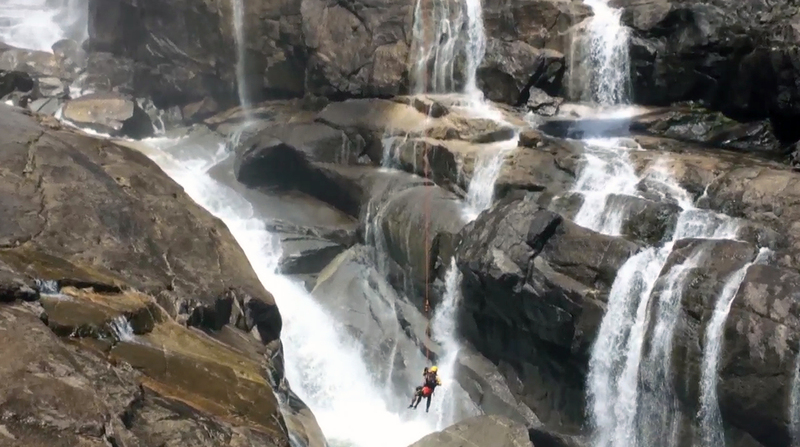 Not a thing for everyone but still this adventurous activity is popular with the pro. People can go to Sunnyside campground to hang with the climbers or just watch the daredevil friends climb the rock while they enjoy watching them and picnicking. Lakes, streams and river are all here to offer you the joy of going down the water and get soaked in the wonderful water sports. 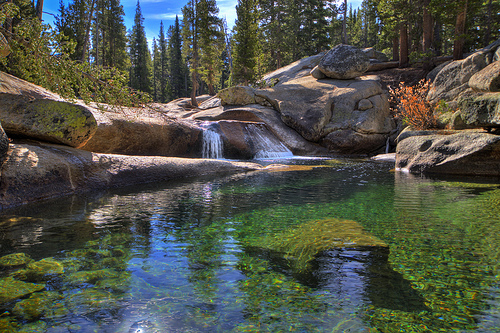 Enjoy fishing at leisure in and around the Yosemite and Sierra Nevada. If you are lucky you can catch the fishes like Salmon, trout, crappie, bullheads, etc. Fishing, swimming, picnicking , camping and boating can be done at the lakes like McClure, McSwain, Bass, Don Pedro. River rafting can be undertaken in the rivers like Tuolumne and Merced that goes from the Yosemite park and surrounding areas. You can enjoy swimming in most of the lakes and river but be cautious about the waterfall area and the fast current. Skiing at Badger pass is one of the lovable things that any skier would do. The skiing track is well maintained and a perfect place for the family adventure trip. Snowshoeing in winter in the Mariposa grove is a good way to go around exploring the places amidst the silent yet bright snowy atmosphere. Ice skating is a wonderful experience that one should not miss it at any chance if visiting in the winter. The surreal feeling of skating with the half dome at the backdrop is simply amazing. Places to stay: There are loads of option in Yosemite national park that range from the simple tents to high Sierra camps to luxurious hotels. Everyone has a choice according to their lifestyle, taste and preference. Yosemite national park has a number of restaurants that offers a variety of food choices to satisfy everyone’s palate. There are many restaurants in the Yosemite valley that are open round the year and Wawona, Badger pass, Glacier point, White wolf have the restaurants that are open seasonally. With so many things available to fill your tummy, you aren’t going to sleep hungry here! The lovely Yosemite valley is worth a visit and when you plan for it, make sure you have few days in hand to enjoy the place fully. 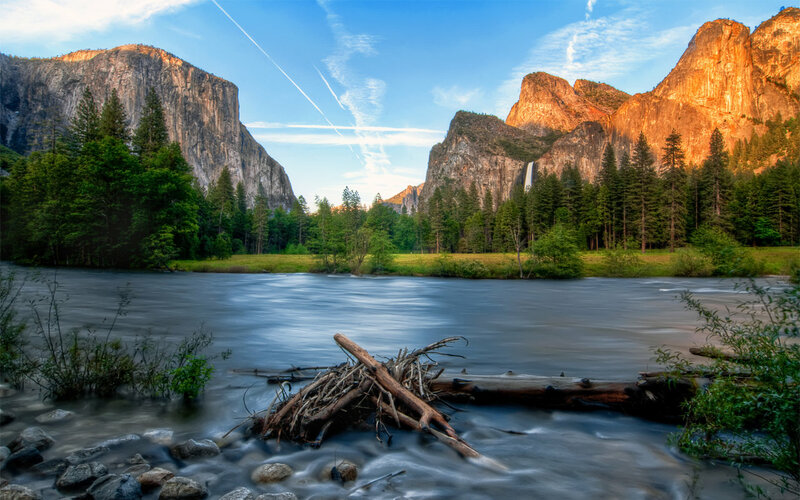 Rejoice in nature or indulge in the adventurous activities, whatever you like, a visit to Yosemite national park will magnify your expectations and offer you the sublimity that you were longing for. Grand Canyon National Park: The Grandeur and the sublime nature!